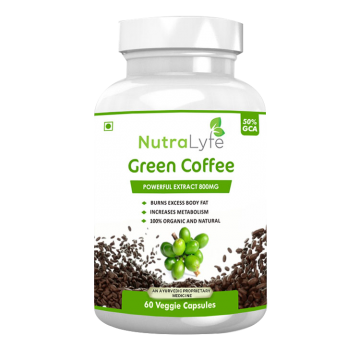 Buy Green coffee extract a popular weight loss supplement online in India from Nutralyfe, Green coffee extract contains 50% chlorogenic acid, this is the exact level that Dr. Oz advises people to consume for better result. Hurry! only 42684 item(s) left! 7031 item(s) already purchased! Green coffee extract is considered to be one of the most effective supplements that aid in weight loss. Dr. Oz spoke about the benefits of consuming coffee extract on a daily basis and also confirmed that apart from weight loss, green coffee also helps in substantially reducing blood sugar levels in the body. It is also known to curb unwanted hunger pangs thus enabling people to eat smaller meals which in turn help them increase the metabolism function in their body. 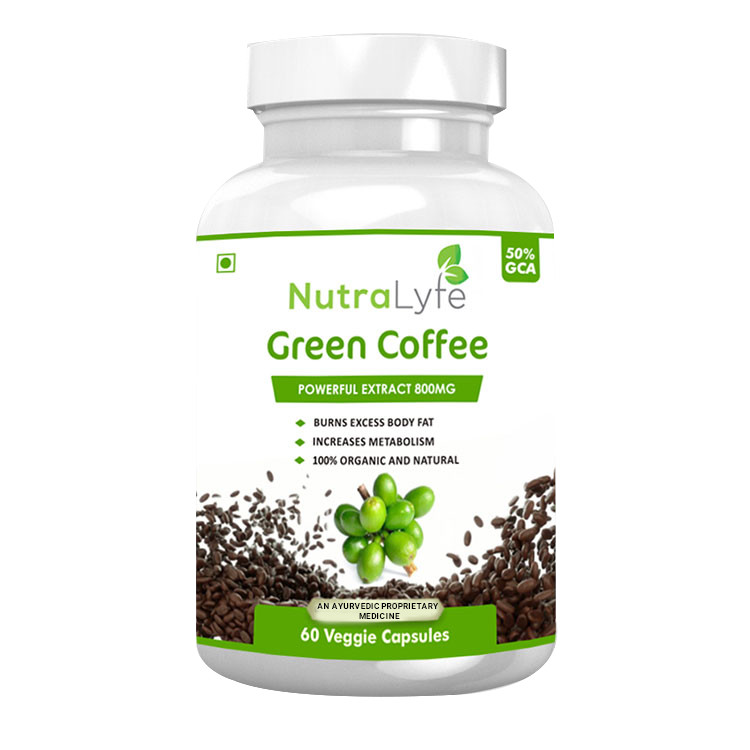 Nutralyfe Green Coffee is a pure extract which is free from any chemicals and fillers. This extract contains 50%** chlorogenic Acid. This is the exact level that Dr. Oz advices people to consume. After spending years in research, Nutralyfe finally managed to deliver superior quality Green Coffee extract which is packed with a number of benefits.